In 1894 a 61 year old Johannes Brahms got an attractive job offer from the Hamburg Philharmonic. This very respectable organization decided to honor Hamburg's famous son with the post of musical director of the orchestra. Brahms, by then one of the most famous composers in Europe--possibly the most highly regarded composer without argument, once Wagner died in 1872--could have been elated that such a prestigious organization had given him the reins to their premiere music making body and asked him to exercise control in shaping its future. He wasn't, however, and explained himself in a letter to the Philharmonic. There was a small problem with the offer. Brahms had applied for the job--32 years earlier--and been turned down. Then five years later--again a rejection. By now he had spent over three decades in Vienna and he was not particularly interested. It was a job Brahms had clearly wanted, but in 1862 and 67 he was still a controversial local composer. Why choose him when the Philharmonic Society could have a glamorous foreigner like Julius Stockhausen? Brahms was on his way up, and didn't have the reputation he acquired later. He wasn't BRAHMS yet, in other words. Instead Brahms wrote a letter in which he suggested that if he had gotten the job when he had applied for it they would be celebrating many fine years together, but that now he was too old and that they should be looking for an energetic younger man. It was an age old variation on "now that I've got the reputation I don't need/want the job I couldn't get when I wanted it because I didn't have the reputation." If that kind of thinking got in Brahms's way, you can only imagine the trouble a 19-year old Bach was going to have. Applying for the position of church organist, he was awarded the post--and then a small problem developed. A royal personnage's relative wanted the job and Bach was "unhired." Bach, the victim of nepotism? Sure enough. 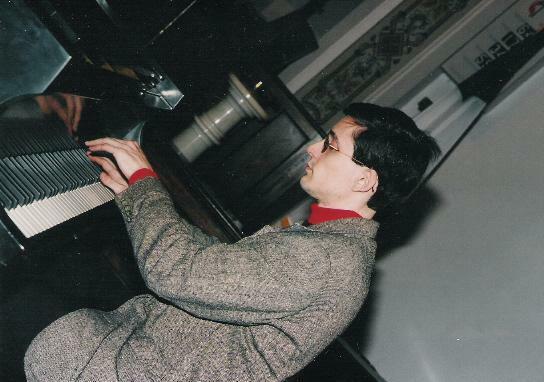 Many years later one of Bach's sons was applying for a position at the same church. Bach himself wrote a recommendation letter to the committee, suggesting that maybe one way to right a previous wrong would be to hire his kid for the job he should have gotten in the first place. Bach, with 20 children to look after, could play that game too. Bach, at least, held down a full-time job. Have you been in the position of applying for your first full-time job only to be told that you can't be hired because you've never held a full-time job before? This page won't exactly be a pick-me-up. Some of these composers never held jobs of the full-time variety at all. Schubert also applied for a position as a Kapellmeister--that is, head musician at the court of the prince. This was a pretty big deal. In fact, you might have heard of the guy he wanted to replace--Antonio Salieri. Salieri may be known to us mostly as a punching bag in the movie Amadeus, but he knew how to write music. Schubert studied with him for a while. But this was a bureaucratic position, after all. They couldn't make it easy. Schubert had to wait eight months while the committee made up their minds. At long last, they decided to take the cheap way out and eliminate the position altogether. Instead of hiring someone, they simply added duties to the job description of the deputy Kapellmeister, with a slight increase in salary. I'll bet he was pleased. Does this sound like the sort of thing you've ever run across in the business world? Mozart went begging for a job once. Eager to get out of Salzburg and away from an archduke whom he couldn't stand, he tried to flatter his way into a position with the Elector of Munich, who he met in the hallway. Actually it was a "narrow little room his highness had to pass through on his way to hear Mass before hunting." (!) Mozart relates the story in a letter (Sept. 29-30th 1777). The elector brushed him off, telling him that "unfortunately" there was no vacancy at the time. Mozart wouldn't take no for an answer, whereupon the Elector repeated his statement, and left. Mozart wasn't the only fellow unhappy with his job. The problem with having one is that some person or group of persons will always dictate to you how you are to do it. The alternative, unemployment, can also be a bit of a problem. But there is one fellow who managed to get around both obstacles. His name was Charles Ives. His father had convinced him that his music making would be "freer...bolder" if he wasn't beholden to anybody, including the general public, which was not likely to encourage his innovations. So he composed on evenings and weekends, and worked in the insurance industry. He was quite good at it, too, and became very wealthy, giving the lie to the idea that all musicians are impractical when it comes to business. Ives managed to avoid a lot of the problems that come with trying to make a living as a musician, but this route also had a price--professional isolation. He also had to face the outright disgust of the few musicians to whom he showed his works. Remember, he could be as radical as he wanted to be--and he was plenty groundbreaking. Still, in the 20th century, many composers were trying very new things and winning the wrath of the public as well as other composers. Colleagues can be just as nasty as anybody else. But if you've had work experience, you may have already found that out! Something else that isn't easy to do--changing jobs. This can be particularly difficult if your boss happens to be the king of something. Georg Frideric Handel didn't know that when he left his boss in Hanover his lowly Elector of a supervisor had king in his destiny. Handel decided to leave Hanover in the Germanies and seek his fortune in England, a country that loved manufacturing musical instruments but wouldn't dirty itself making music on them. This paved the way for foreign musicians, mostly from Germany, to become rich and revered. Handel was on his own, taking the financial risks from his operatic productions himself. His entrepreneurial approach eventually made him a wealthy man, but he had to change course when Italian opera went out of fashion and his productions suffered poor box office. Oratorio proved to be the answer (Opera without costumes! What a cost-cutter! Except for the part about hiring a chorus to do a lot of the singing). Meanwhile, Handel's old boss had a strange twist of fortune as well. The King of England died, and through a strange order of succession, his cousin, the Elector of Hanover became king of England. I'd like to have seen Handel's face when he read that in the paper! Handel hadn't exactly gotten permission to leave Hanover, so he had to play nice with his old boss, and wrote him some really attractive Water Music so he could take his boat on the Thames and listen to music. It appears to have patched things up with the king. One employer who was not so easy to forgive was the Duke of Weimar. Bach tried to take another job, and the duke threw him in jail for a month for breech of contract. Bach had a long and difficult working relationship with several of his employers. I've written another article about something that happened while he was at his first church in Arnstadt. Bach's difficulties at various churches may be part of the reason he left the church to go work for a duke, and then a prince for a while. Unfortunately, a problem eventually developed in Cothen as well. It wasn't that his boss wasn't hospitable--Bach may have enjoyed his stay in Cothen more than anywhere else during his lifetime. The prince was a music lover, and didn't mind spending money to get the best instruments and the best people to lay them. Opportunities for musical stimulation were not wanting. But eventually, the prince remarried. His wife was not particularly interested in things musical. Bach called her an "amusa" (without a muse), or one without musical feeling. It didn't matter if she had some dude named Bach right there among the musicians--music was worthless to her, and therefore so was Bach. Soon after, Bach went packing, to Leipzig, a town where he would spend the remaining 27 years of his life (and get into controversies with more church authorities). That's the difficulty of a working relationship. It may go well for a while, but if a new Pharaoh ascends the throne things could take a turn for the worse. Ahh, office politics. Bach was never exactly blessed with the gift of tact, which might have made things a bit easier for him. In fact, in some cases it could have made things less dangerous. Maybe that's why Charles Widor never made a really big deal about his working conditions. At least, I haven't read that he did. I only came across this bit on the internet the other day, so I don't know much about it. Widor is considered one of the greatest organists who ever lived. He worked in a massive French Cathedral (St. Sulpice) and turned out a number of ambitious organ works, including a symphony whose last movement is the now famous "Toccata" that us organists like to butcher at Easter. He was hired in a bit of a hurry, apparently, given only the title of "Temporary Organist" and, in his 63 years there, never got the title of permanent organist (titular organist, actually). But, you know, "all flesh is like grass..." (You can hear the mighty organ at St. Sulpice being played at http://blip.tv/file/62423; it is one of the world's biggest). Most of the composers we've been discussing worked for princes or dukes or some other bigshot. The musicians themselves were considered servants, and not very high up on the social ladder. The staggering genius of these individuals didn't matter; they were musicians and therefore they were peons. Fortunately, we have evidence to suggest that some of their employers valued them and took care of them. And some didn't. Still, if you have a grievance with a prince or a duke, things will go well with you if you are able to broach the subject delicately, and with a full awareness of your position. One fellow certainly deserves to be recognized in that capacity. His name was Josquin and he died in 1521. He is regarded as one of the earliest "great" composers. Martin Luther admired him greatly as a "master of the notes." We know very little about Josquin's life (about the only thing he left behind besides his music is some graffiti in the choir loft at his church) but I think we can all appreciate the problem he once faced--not getting paid. That's right--his employer stiffed him. Josquin wrote him a piece of music and didn't get a cent for it. Now Beethoven once dashed off a silly cannon about the virtues of getting paid when someone conveniently forgot about his fee (the manuscript is in the Peabody library in Baltimore, MD), but Josquin needed to tread carefully because his employer was royalty and democracy wasn't even a gleam in John Locke's eye yet. So Josquin wrote something else. It was a piece for choir, and the biblical text he chose was this: "Lord, remember thy promise to thy servant." Nice touch, isn't it? And his employer got the hint. A more famous example of this kind of diplomacy involved Joseph Haydn. Haydn, a Kapellmeister (literally headmaster, but in this case leader of the musicians) worked for a prince. This prince had a summer home out in the marshes where he like to go fox hunting. One year he got so enchanted with his hunting that it looked like he wasn't going to return to his winter home. This was a big problem for the musicians. Far be it for a prince to spend a summer without his entire retinue of musicians--his private orchestra. Everyone in his employ came with him. This did not, however, include the musician's wives and children. So for as long as the prince felt like staying around, nobody in his orchestra got to see their family. This was starting to seem rude. Haydn couldn't just come out and say "Let's go home, already!" and they didn't have musician's unions to petition, so he had to find a subtle and--you guessed it--musical way of dropping the hint. That hint is the final movement of a piece which became known as the "Farewell" Symphony, a piece in which all the musicians start out playing together, and then, one by one, they stop playing, put out their candles (no lights on their music stands, remember!) and leave the room until only two violins are left playing. It worked. The prince broke camp and went home for the winter. Haydn stood up for his men, and did it gently enough that the prince wasn't embarrassed or angered. Haydn had "people skills" which is a much better guarantee of success than mere music-making, at any level. Now, if he'd only been into computers, he could have made the big bucks.